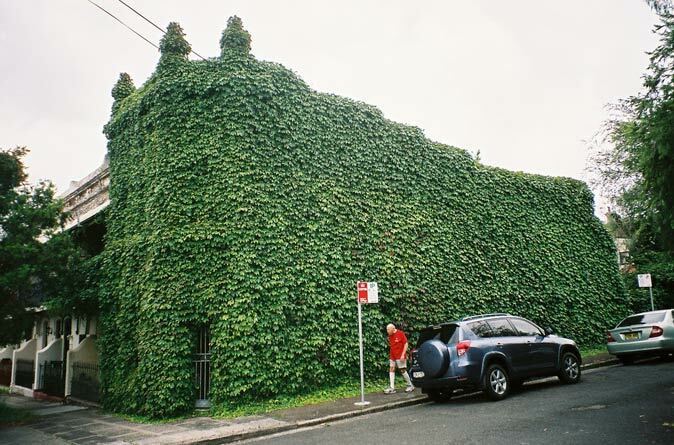 In Bondi Junction, Ruthven Street greenery has been shaped to resemble a building. 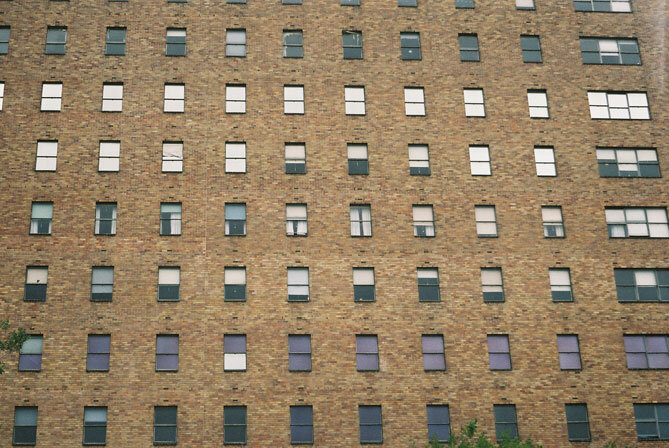 Some local residents believe a legend that there is a real building in there. 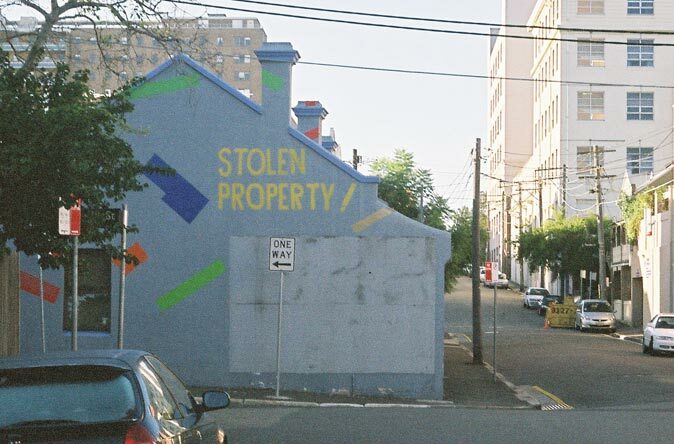 The real estate agent must have had a field day advertising what is now a private home in Birrell Street, Bondi Junction. Possibilities abound, such as "your paradise on earth", "a heaven-sent opportunity" and "a generous offering". But we're sure you can do better. 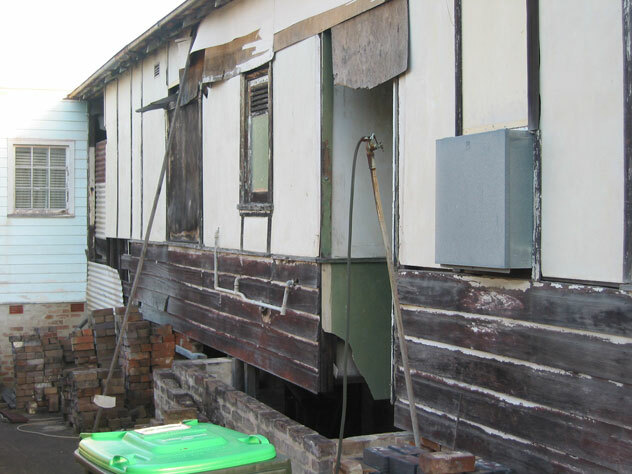 The hot house was apparently dumped in the middle of Mallett Street, Camperdown, when the thieves had to flee. 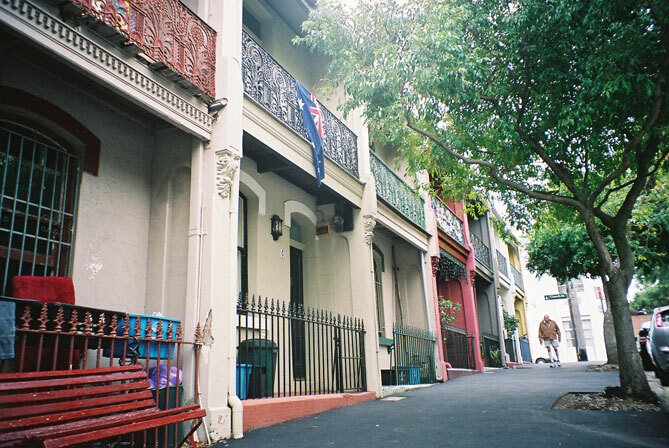 … but typical Camperdown is just a few metres away in Fowler Street. One house, but we suspect two owners. 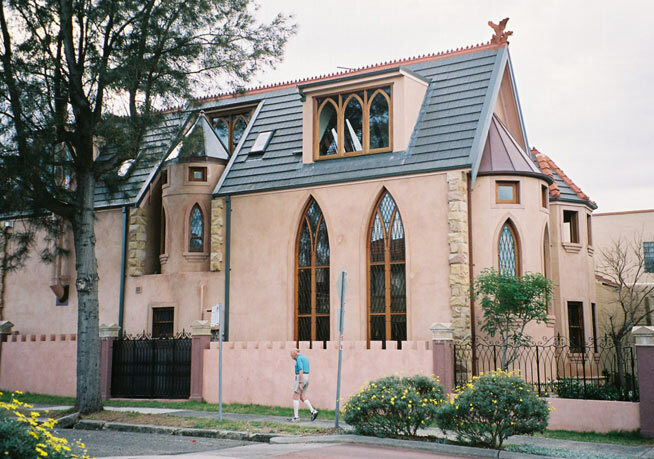 It's in Purkis Street, Camperdown. 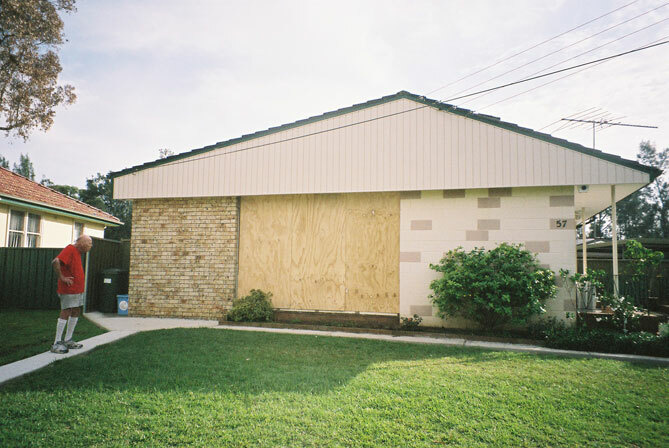 Holding out in Bellbird Close, Canada Bay. 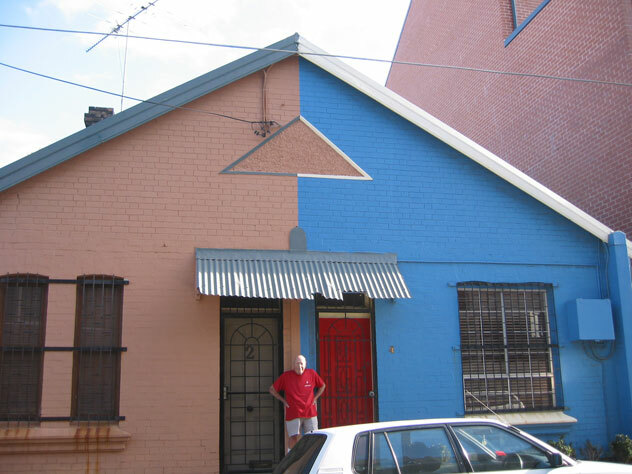 "And what would you like for the front of your home in Mawson Drive, Cartwright: brick, wood or block?"